Is your business ready for Black Friday and Cyber Monday? Black Friday is just round the corner, but are you ready? Businesses just like yours, are investing a well-planned strategy in order to help increase brand awareness, sales and retarget former customers. Black Friday and Cyber Monday are the biggest days online. In 2015, over 1.1 billion pounds was spent online in the UK and 968 million pounds on Monday. And, lets be honest, as a retailer, you wouldn’t complain about having a small piece of that pie. With most campaigns such as Christmas, they always seem to creep up on you at the last minute. It’s key that retailers are capitalizing on this key date, getting your marketing strategy planned in advance in order to start letting your customers know. Search trends for Black Friday are rapidly increasing in the UK, as you can see from our Google Trend graphs above, which is return means your shopping audiences are increasingly aware of Black Friday and Cyber Monday. Many online shops see a decrease in sales in the lead up to these days, as people save their money for the largely anticipated sales.. Let your customers know what’s coming to encourage them to shop with your over your competitor. Ensure you’re capitalizing through every channel from Google Shopping to Affiliate Marketing. We know that searches through Google Shopping have had the highest year-on-year increase making this a platform not to miss out on! Ensure your Google Feed is fully optimised and has all your products included in it! With the flurry of people, especially between the hours of 7am and 12pm, you need to ensure that your website is ready to showcase to your products to your audience. You’ve paid to get the visitors to your website, so if they haven’t converted, let’s keep on talking to them. 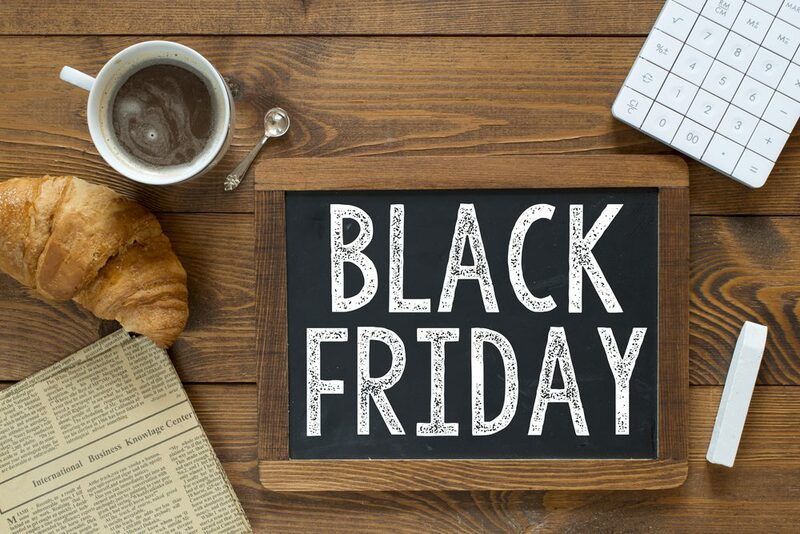 There are a variety of ways you can retarget, through Facebook, Google or Twitter, allowing you to capitalize on the Black Friday audience even after the event. Don’t miss out on your opportunity to grow your ecommerce business. Get in touch with us today to help you make the most of Black Friday.